Which One is Better, iMovie or VideoProc? When you need to edit and process your iPhone 1080p/4K recordings, the primary option that pops into your head should probably be iMovie. Because it provides almost every editing tool that you require to turn your project into reality. Yet, the truth is that iMovie has never been everyone's treasured possession. Digiarty understands this and, to fill the gaps left by Apple's iMovie, develops a remarkable piece of iPhone video processing software - VideoProc to help everyone process iPhone footages with better features and user experience. Certainly, some iMovie loyal supporters might be skeptical about this new rising star. So in this article, we take VideoProc and iMovie for an overall comparison to display their key features and respective pros cons. And also give some of the specific criteria for your reference as you choose between VideoProc and iMovie. iMovie Error or iMovie Crashing During iPhone (4K) Video Editing & Processing? - The Only One to match or even exceed iMovie's score from users' feedback. speed up/slow down, denoise, fisheye, deshake, video to GIF, effects, etc. 2. Adjust iPhone video resolution (4K to 1080p), frame rate, bit rate, aspect ratio. 3. 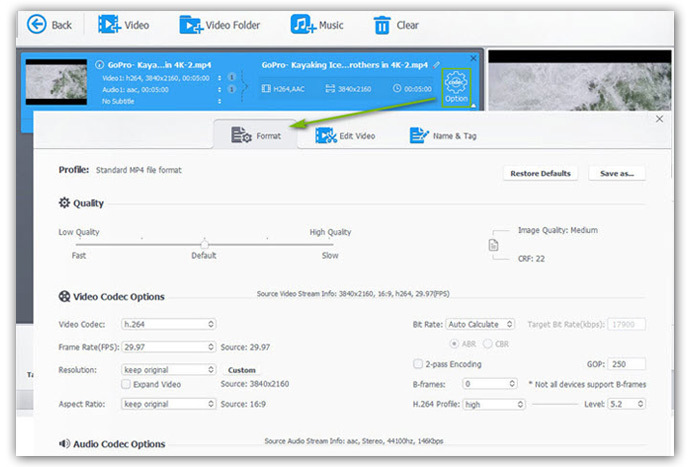 Export any video to MP4, MOV, H264, HEVC, MKV, AVI, WMV, MP3, ringtone. 4. GPU hardware acceleration supported, no laptop lagging/CPU overusage issues. VideoProc has an expansive library of options and features that are needed for high-level quality of 4K/HD video editing & processing. And it strikes the delicate balance of making the program easily accessible to noob users without paying the price of functionality and tools that prosumers need. In short, regardless of what kind of skill level you are in, you can painlessly use it to edit your iPhone (4K 60FPS HEVC) video, but also further resize and transcode your iPhone clips for YouTube, Instagram, Vimeo, Email, family footage, students work and promotional video. 1. Easy to use, no confusing options. 2. 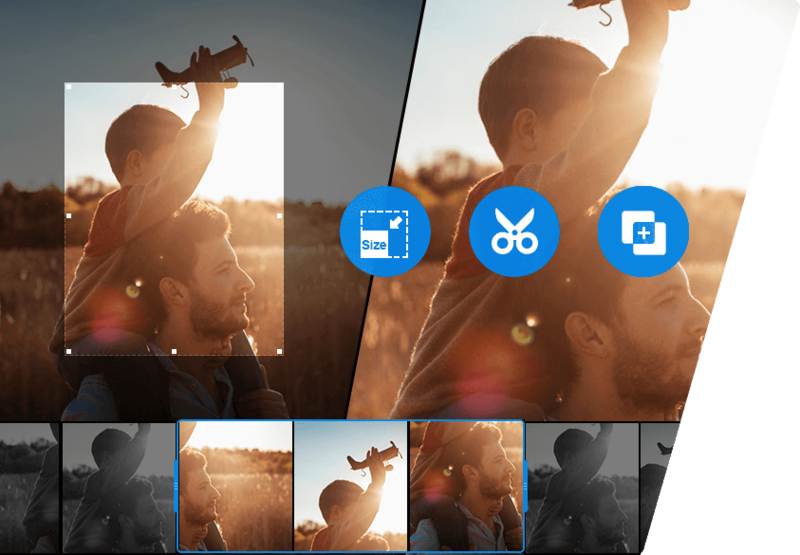 A complete set of editing features, like cut, crop, split, merge, denoise, deshake, rotate, fisheye correction, etc. 3. Resize iPhone videos via parameter settings adjustment (resolution, frame rate, bit rate, etc.). 4. Change export codec and format, e.g., HEVC to H264, MOV to MP4, H264 to YouTube VP8. 5. Export video up to 4K and convert video to GIF. 2. No themes for you to choose from. Every video can be made better using iMovie. It is always the first to roll out the innovative features and tools, such as themes, filter, transition, audio effect, etc. It has the timeline/storyboard workflow to help you cut, crop, split and delete your iPhone video clips being accurate to a single frame. Another boon for iMovie is the ability to import, edit and export 4K iPhone video footage for sharing to YouTube, Facebook, Vimeo, etc. All in all, it's an outstanding video editor for Mac users to personalize your video any way you wish. 1. Timeline workflow to accurately edit video. 2. A full array of video editing features, e.g., trim, split, crop, rotate, speed up, filters, etc. 3. Support video editing up to 4K 2160p. 4. A whole host of filters, themes, transitions and audio effects. 1. The input/output formats and codecs are quite limited with Apple's ecosystem. 2. Unable to change video resolution, frame rate, bit rate, aspect ratio, etc. 3. There is still more room for growth like resize iPhone video, transcode video formats, etc. 4. No Windows version available. 5. It doesn't allow to export a 4K file unless the first clip added to your project is in 4K resolution. You've already had an overview about VideoProc and iMovie, coupled with their respective strengths and weakness. Of course, it lacks the detailed description and comparison. If you wanna know the detailed differences of the specific features between the two programs, click the categories below to learn more. Part 2 - Adjust Parameters: Which Does Better? Part 3 - Export Format Comparison: Which Has Better Odds? Part 1 - Which One Does Better in iPhone Video Editing? 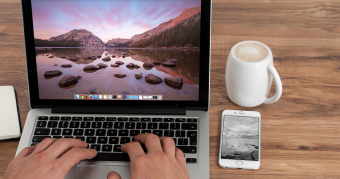 Video editing might be your top concern since you're strongly required to do some editing for your iPhone footage when it comes to uploading clips to YouTube, Ins, Vimeo or Emailing. Yet, in view of limited time and space, it's next to impossible to compare all editing features one by one. Instead, we mainly focus on those widely-used editing features, e.g., cut, crop, split, subtitles, denoise, deshake, speed up and slow down for comparison. Well, nonsense aside, let's cut to the chase. VideoProc: the Cut feature in VideoProc has more than one single function. First of all, it enables you to cut iPhone video clip you want to save via the flexible slide bar. Secondly, it allows you to cut your footage into several different clips at your disposal. 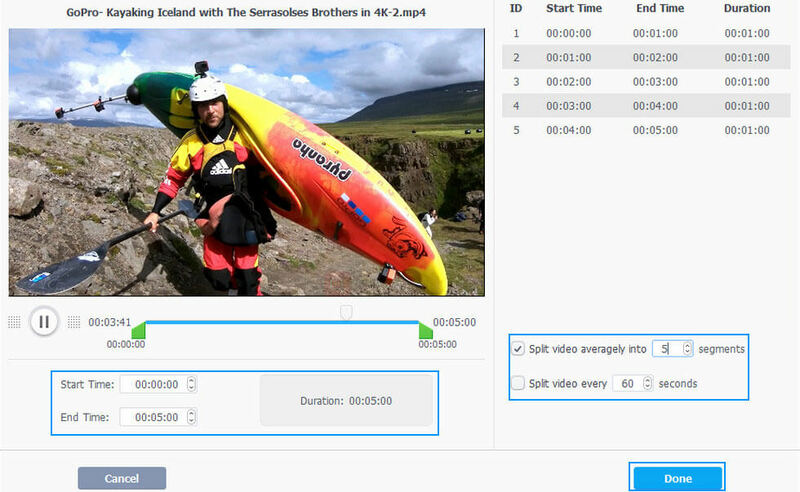 Thirdly, this tool lets you combine and merge your trimmed clips into a new video for more usage. Lastly, it can accept whatever you feed to it, be it iPhone MOV, MP4 video in HEVC/H264, or MKV, AVI, FLV, VP9, WMV, VOB, etc. other non-Apple formats in any resolution (1080p/4K incl.). iMovie: Apple's iMovie uses a traditional NLE (nonlinear editor) timeline to let you select the clip you wanna cut. And you can cut your iPhone 4K recordings at any accurate time point (exact to the video frame). Unlike VideoProc, the Cut feature of iMovie is designed for you to cut and remove the unwanted video clips from iPhone video. You can't cut one frame from a clip while keeping it in another clip for different purposes. What's plus, where iMovie falls short is in its limited input formats. It only allows you to import iPhone MOV/MP4 videos, other formats excluded. VideoProc: before you upload iPhone video to Ins, YouTube, FB, Vimeo, you'd better crop or zoom in your iPhone recordings to highlight the object and meet the requirements of SNS. The Crop tool is easy to find and use. Tap it at the video info display and you're directed to the video editing window, where you can enable Crop & use the marquee box to freely remove unwanted objects and adjust your video image size to 16:9, 4:3, 1:1. What's better, the Expand Video option is available for you to add black padding to both sides of your video if needed. iMovie: In iMovie, the Crop icon is not so well-marked as it in VideoProc, which should be found with a square-shaped icon, labeling with Cropping. And it provides you with two modes to crop your clip: Crop to Fill and Ken Burns. Crop to Fill is the normal one for you to tweak video picture size while Ken Burns specializes in helping you zoom in/out between two areas in the clip. You can try this special feature to personalize your recordings. VideoProc: you would actually encounter Waterloo when uploading 15+ minutes iPhone footage to SNS, though most social network sites like YouTube, Facebook claim to support you to upload 15+ mins video on your iPhone. 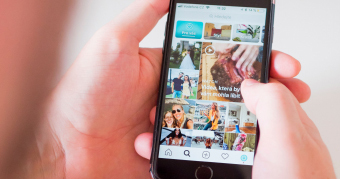 In such case, the Split feature matters a lot, which can be activated under Toolbox at the bottom of VideoProc interface and used to split iPhone video averagely into numerous segments or split recordings every 10 - 60 seconds at your willing. Download to Try! iMovie: the same word means differently in different program. In iMovie, Split stands for the feature to help you only split a video into 2 clips at a time. Therefore, if you thirst to split a footage into 10 segments, you need to do it 5 times. And it would be even more troublesome if you're prone to splitting iPhone video every 30 or 60 seconds. You have no choice but to split video one by one after manually confirming the video length. VideoProc: not everyone can hear the video sound. And even though you're a native speaker, there's a high likelihood for you to turn subtitles or captions on for better understanding when you're watching TV shows or movies. So subtitles plays an essential role in video playback. VideoProc knows it and has the fabulous ability to add SRT subtitles to your video. What is also special to me is that it supports you to search movie /TV episode subtitles in whatever language thereon and then download subtitles to your video input. iMovie: actually, iMovie lacks subtitle feature. Instead, it has Titles for compensation, which gives you up to 48 different titles to add some texts to your video. However, its Title feature is similar to watermark. You need to split video into clips first if you demand different title texts in the footage. VideoProc: the Denoise feature is a must have if you need to remove the annoying background/ambient noise from video. Luckily, VideoProc has this. Access to Toolbox and you can choose it to reduce the disturbing noise like wind with the intelligently auto settings. Thus, you don't have to manually adjust the Low/High Pass if you're a layman. And you would find your output video becomes more clear in normal sounding, no more white noise. iMovie: personally, I prefer iMovie's Denoise feature. As the picture shows below, you're allowed to reduce background noise from 1% to 100% via the simple slide bar. What's better, it's well-designed with Equalizer feature, covering flat, voice/music enhance, hum reduction, bass reduction, loudness, etc. to meet your specific needs. That's definitely thoughtful, right? VideoProc: Apple has added optical image stabilization for video since iPhone 6s Plus. Yet, the benefit has been limited. To rescue your shaky video, enable Video Stabilization feature at Toolbox and then this iPhone video processing software will automatically stabilize your iPhone shaky video with default settings after analyzing the footage. Or, you can manually adjust the settings like shakiness, accuracy, step size and minimum contrast to optimize your shaky clip. The shakiness problem would perfectly get resolved as long as your recording doesn't have the irreparable injury. iMovie: we import a shaky iPhone HEVC video to iMovie to have a test on its deshake feature. We found that the product is easy to use in video stabilization by ticking "Stabilize Shaky Video" option and moving the slide bar from 1% to 100%. In addition, it also provides an option to fix rolling shutter with 4 levels: low, medium, high and extra high. And the test result impresses us a lot, which is in a close race with the output in VideoProc, no clear winner. VideoProc: this program is constantly optimized by a dedicated develop team so that it can speed up video from the initial 2X to the current 16X. And it would become even stronger in its next upgrade version, possible up to 20-30X. The same also applies to its slow down feature, up to 0.1X so far. Plus, we're pleased to know that we can freely change the speedup/slowdown number, be it 2.6X, 3.8X, 14.4X faster or 85%, 40%, 27% slower, no fixed options. iMovie: unlike the above tool, iMovie offers you with the fixed options. For instance, you're only allowed to speed up your iPhone video at 2X, 4X, 8X or 20X and slow down iPhone clips by 10%, 25%, 50% or auto. Comparatively speaking, it can save you some troubles, but meanwhile it lacks flexibility. And if there is a grumble, it would be the infrequent product upgrade and the neglect of users' changing need. Of course, we should not ask too much and put too much pressure on iMovie since it's just a freeware. Part 2 - Adjust Video Parameters: Which Does Better? An impressive array of video sites can't support your iPhone 4K video uploading at 60FPS like Instagram, Snapchat, Facebook, etc. Besides, your video is also subject to website limits of aspect ratio and bit rate. Hence, you're required to tweak your parameter settings before uploading, Emailing or playback. Thankfully, VideoProc sports with such knack to help you do this job. VideoProc: it gives you the least trouble to downscale 4K 2160p to 1080p, lower 60FPS to 30FPS, 240FPS to 120FPS, change aspect ratio among 16:9, 4:3, 1:1, 9:16, adjust bit rate and change H264 profile level, etc. Thus, you're able to resize and process iPhone recordings with highest possible quality for further usage. iMovie: it's known to all that iMovie specializes in video editing. The parameter settings adjustment is not what it's adept in. But, it still features several options for you to choose from when you export video, including resolution, quality and compress. One point worth of note is that the highest resolution is determined by the first clip you added to iMovie for Mac. To put it in another words, supposing you want to export a 4K file, make sure to load a 4K footage in the timeline before importing other clips. 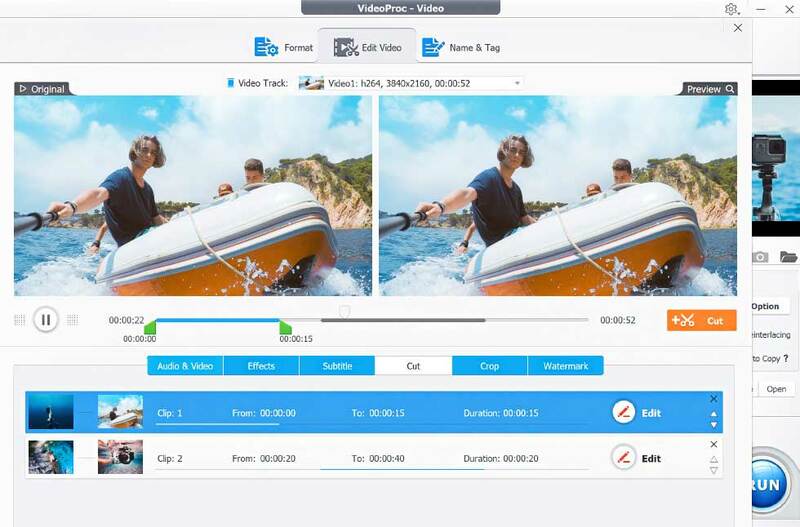 VideoProc: VideoProc is an all-round iPhone video processing software, which also works as a strong performer to change and transcode export format. With 420+ video codecs supported, it lets you decode any video to MP4, MOV, H264, HEVC, MPEG-4, VP8, MKV, WMV, SWF, FLV, as well as iPhone Xs Max/Xs/XR/X/8/7/Plus, Galaxy S9 edge, Huawei, Sony, Microsoft, etc. iMovie: Developed by Apple, iMovie generally exports video file as MOV or MP4 formats. As for audio format, it gives you freedom to just select "Audio Only" from Format category and save it as .aac format. In this regard, iMovie still leaves too much to be desired if you care about the export codec/format. It couldn't be possible to cover all in the above comparison, for both VideoProc and iMovie are so rich in features and tools. And it would place too much burden on you if it always adopts a paragraph with 300 - 500 words to show you the difference on each side. So, to properly reduce your reading burden, here we use the comparison table to display the nitty gritty. See the full supported inputs & outputs >> Input: DV, HDV, AVCHD, AIC, Motion JPEG/A, iFrame, H264, some varieties of MP4/MOV. The intention of this comparison is not so much to declare a winner, as to clearly show the differences and their respective pros cons. The end goal is to help you make a decision grounded on what's important in your professional or amateurish iPhone video editing and processing. Kayla Collins, a senior member of Digiarty software for 5 years, knows a thing or two about digital devices & video processing software like GoPro, DSLR camera, Drone, iPhone iPad, iMac, iMovie, etc. and is glad to share her knowledge to help people out of trouble. She's also deeply passionate about yoga, jogging, roller-skating, handcraft, reading, music, movie and more. Instagram Reduces iPhone Video Quality While Uploading? Fix It! Check to know the top friendly video audio formats for your iPhone. Let's convert iPhone slo-motion video to normal speed at 1 click away. Transcode iPhone video from HEVC to H264 without quality loss.